Great news! 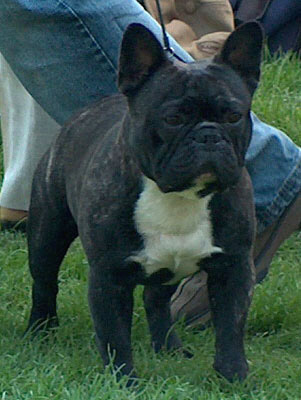 Aischa Star Minimolos borned 3 wonderful puppies this day after mating in Holland. All of them are brindle. 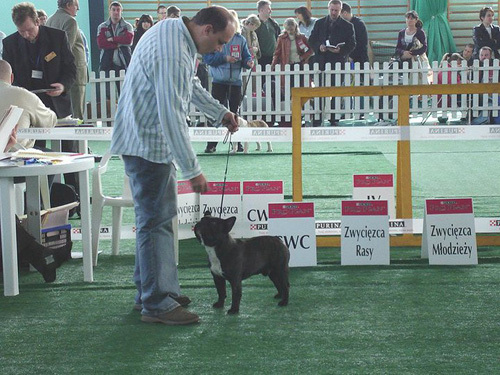 I would like to thanks irreplaceable Mrs. Irena from "Z Nadarzyna" kennel for her support - again. 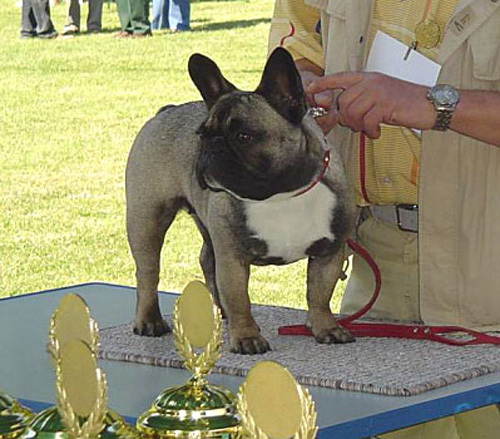 I would also want to thanks Mrs. Aafke Engel from "Van Sans Pareil" kennel for a possibility of mating by such an excellent dog. Special thanks for Vinus from "Of Little Bombardier" kennel. He helps me a lot during my visit in Holland. Tkanks !!! 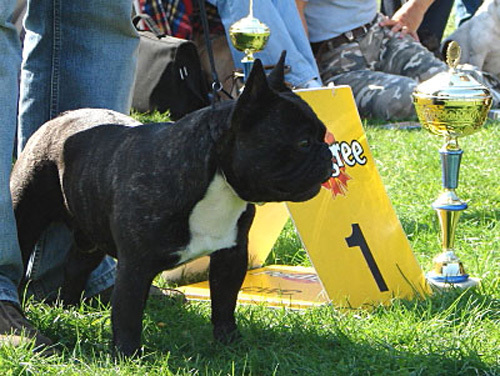 Beautiful Copacabana Minimolos was shown for next time in puppy class. She again very well and received highest mark "very promising" end perfect description. 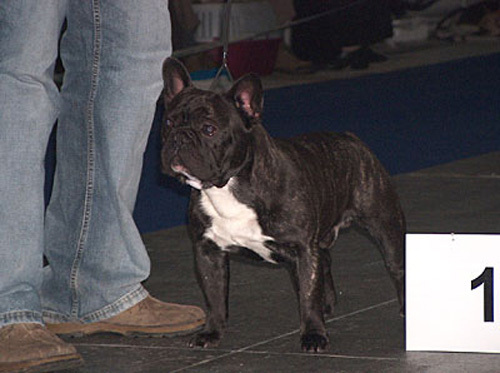 French Bulldogs was judged by Roland Bebber from Germany. Thanks to Irene & Roland for wonderful messages and photos.